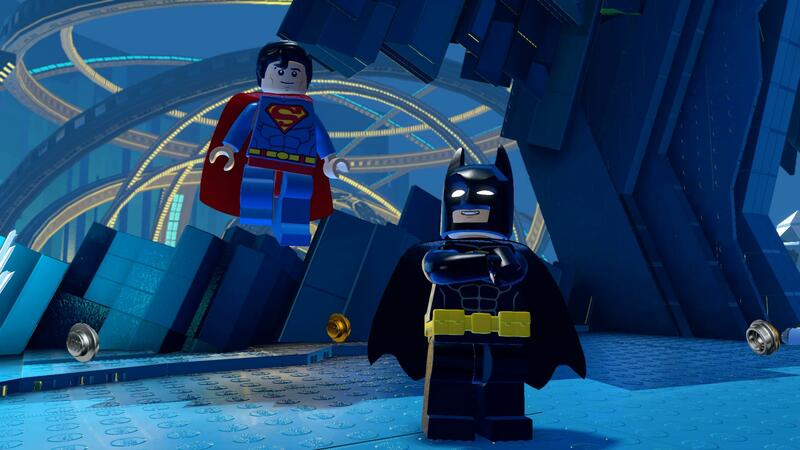 The Batman Lego movie story pack is the newest release in a long line of Lego Dimensions sets, and follows the movie adaptation trend of Ghostbusters and Fantastic Beasts, which means it follows the movie pretty closely. if you’ve seen the film, you know what to expect in terms of the plot but the game still has a few gems hidden away to keep you interested. For those that haven’t seen the film, look away now. The story centres around Batman’s arch enemy the Joker who eventually manages to release hordes of baddies from the Phantom Zone. It’s down to Batman and co. to set things right, and you get to be in the middle of it all. Don’t look at the lights! In terms of gameplay it’s what you would expect of any Lego game. The visuals are sound and representative of any typical Lego game. That’s not a criticism by the way. It’s praise for continuity. Lego games often have similar themes that run throughout all of their games: good graphics, gameplay, humour and puzzles. And you get plenty of that here. But the graphics are smooth and colourful and complement the gameplay well. The gameplay is primarily centred around fun, puzzle-solving and dealing with baddies. And there’s plenty to be had here. 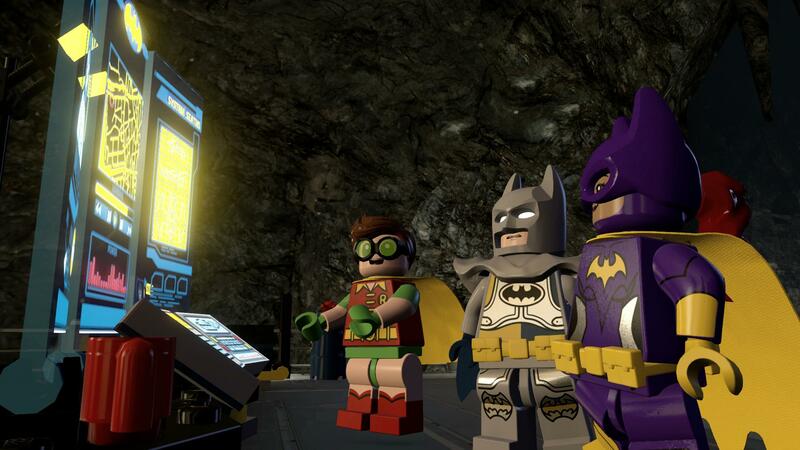 Though the most disappointing aspect of this game is the lack of the Lego Movie Batman character from the film. You can obviously utilise your Batman character from the original Lego Dimensions starter set, but a bespoke Batman movie character would have been a nice addition. But the gameplay itself is smooth and fun to play. And there are loads of humorous parts that result is frequent bouts of chuckling. My favourite part is the ‘merch-gun’, which is a gun that shoots out merchandise to startled passers by and criminal alike, stunning them in the process. My son, especially, had fun using this to excess. You can shoot people in-game without feeling guilty. Don’t try anything, Supes. It didn’t end well for you the last time. 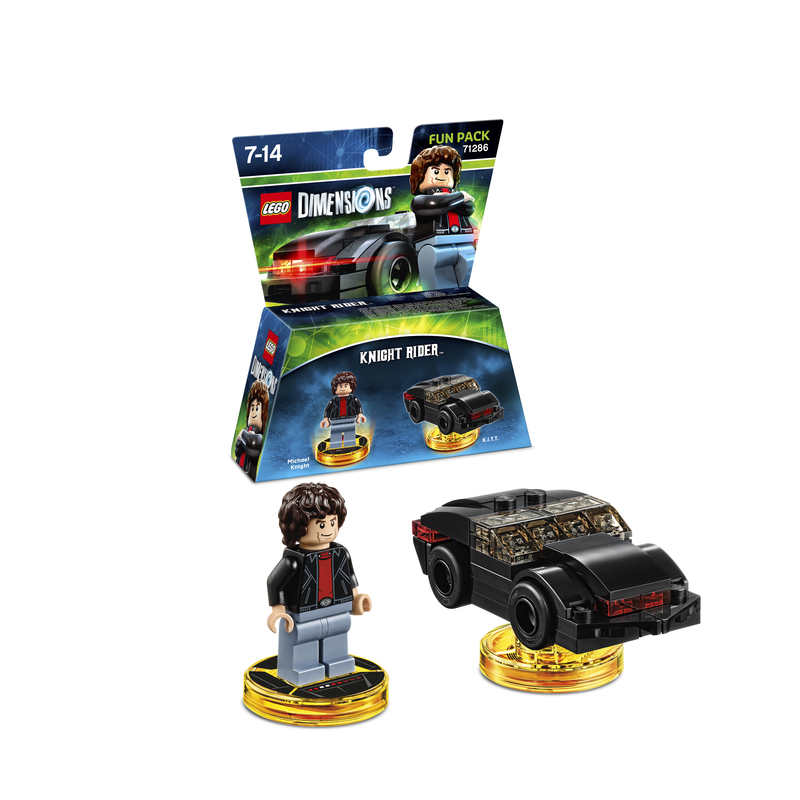 Like all story packs the Lego Batman movie set comes with its own bespoke portal and a small selection of characters, this time two (Robin & Barbara Gordon) and a vehicle. I always feel as though the portal is a bit of a waste, even though they all perfectly complement the story pack. I’d much prefer a few more characters and vehicles, or even a larger vehicle, such as those used by Batman in the movie. The Batplane springs to mind. It might be bigger than the usual raft of vehicle supplied with the packs, but you’d also be able to use it with a physical Lego sets, without it looking out of place next to one of the Lego City airplanes or fire trucks. Or simply replace the portal with the actual Batman charter from the movie. Michael Knight can use his version of an Apple Watch to communicate with his version of a Google Driverless car. In terms of price it’s a somewhat costly £35. And there are also additional packs available for purchase, bumping up the demand on your wallet. However, in my humble opinion this pack is better than the previous Ghostbusters and Fantastic Beasts sets, with only the original Dimensions starter pack proving the best overall. And there is the compatibility aspect to consider as well. Unlike some older packs that feature in Skylanders of Disney Infinity, all of the Lego Dimensions characters are fully compatible with every story and level pack, ensuring your costly collection can be utilised across the board. In addition to the story pack there are two expansion packs. One features Excalibur batman with his trusty bionic steed, and the other is Knight Rider, with car and Michael Knight. Each pack and character brings their own set of unique skills and abilities, such as taking down enemies with Batman’s sword or using Michael Knight’s wrist watch to uncover hidden secrets. Overall this is a quality offering. The gameplay is good and the story and action within is entertaining and funny. But there is the occasional bug, but the ones I’ve encountered have never caused any serious issues, just odd, glitchy moments. The story pack maintains the running theme of movie adaptations but this comes across better than the previous ones, most likely due to the nature of the movie. after all, it’s a Lego movie.